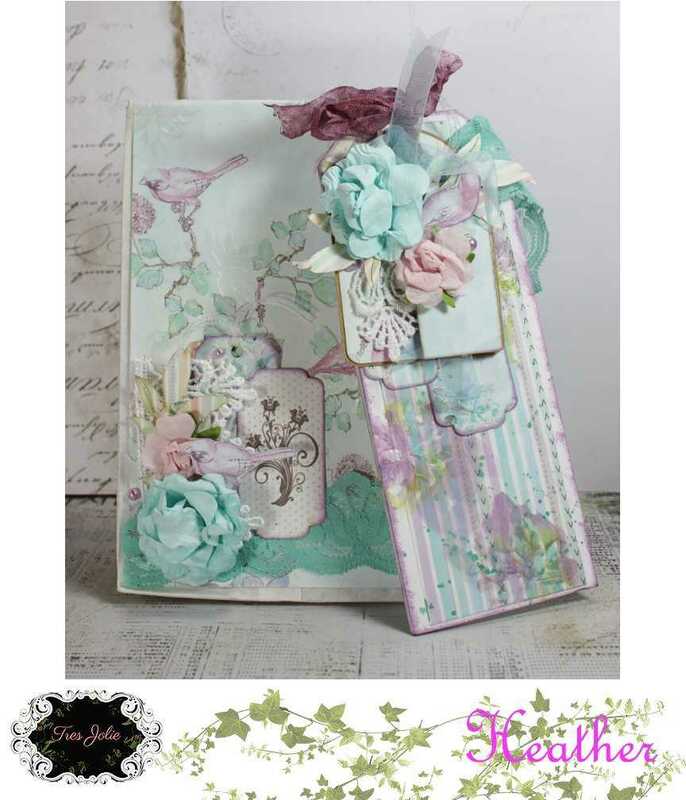 Hi Crafty Friends, Phyllis here to share my last project for Tres Jolie using the June Card Kit. I decided to do some simple cards! I used the same design on both cards but different papers. You can see step by step with pictures how I created these cards! 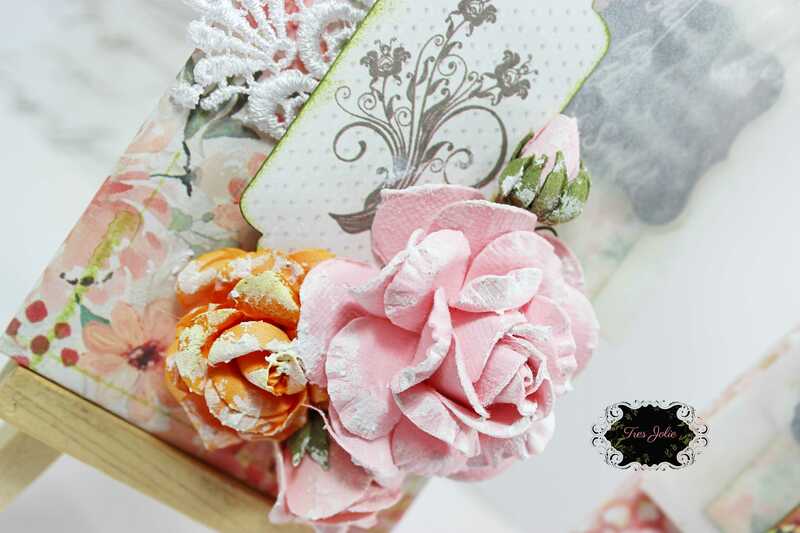 I began by using my paper punch and cutting some flowers out from Fabscraps paper pack. I did this with 2 different paper patterns and then layered them. 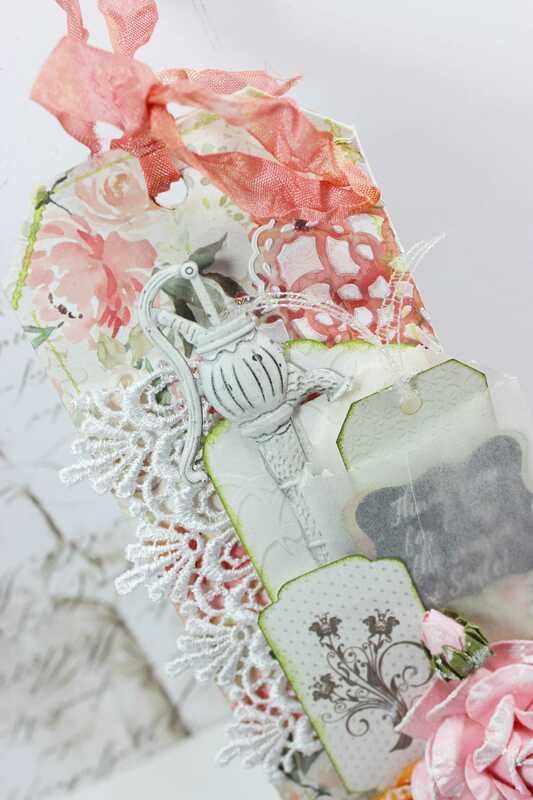 Here is the layered flowers. Then from my stash I added some flatback pearl beads to the center of the flower. Next I used Kaisercraft’s Doily stamp and Kaisercraft green ink pad from the card kit, randomly stamped on Kaisercraft’s White premium cardstock that measures 6×6. I also used the lavender ink pad for the other card, same process. Once the stamping was finished I cut out some tags from Fabscraps and added some twine from my stash. In the Fabscraps paper pack you will find some diecuts and sentiments, I picked the window diecut and then a couple sentiments. Then I started laying down some of the flowers and also added some leaf dicuts from the Fabscraps paper pack. My last step was to flick some ink spray from my stash all over the card. So get your paper punches out and create quick and easy greeting cards! I hope you get a chance to purchase this card making kit, so many options! 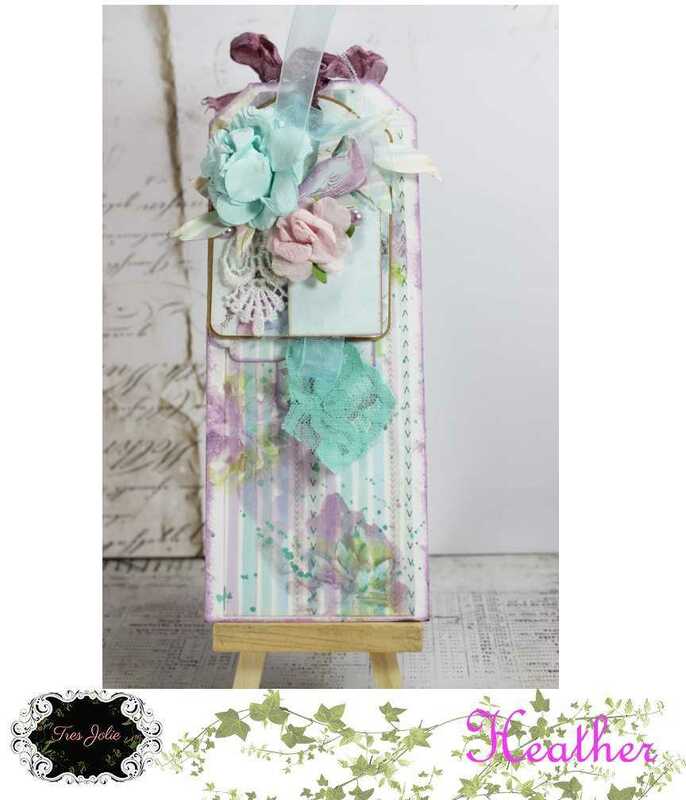 I enjoy making matching things, so Today I want to share a gift bad and loaded tag set I made with the June Kit from Tres Jolie Kit Club. I was at a weekend retreat so I apologise now for the shadows in filming. I basically just measure the back and ends and cut and folded appropriately. The tag is just layers of goodness. Lots of elements from the card kit. 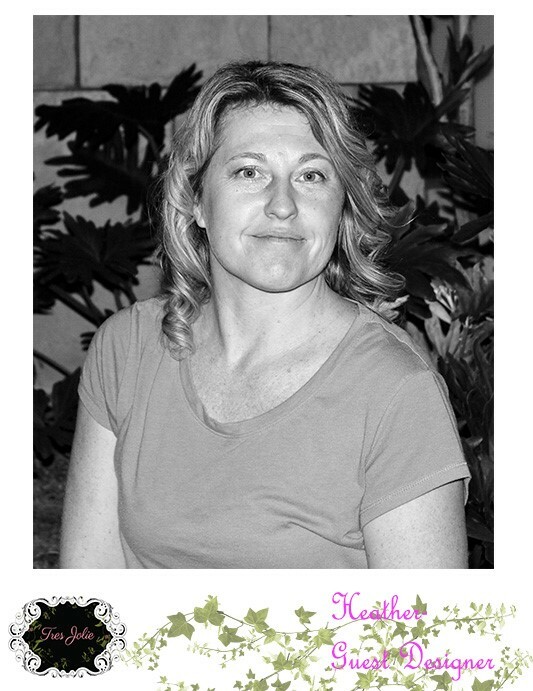 I hope this gives you ideas on quick and easy alterations to to plain Jane gift bags. 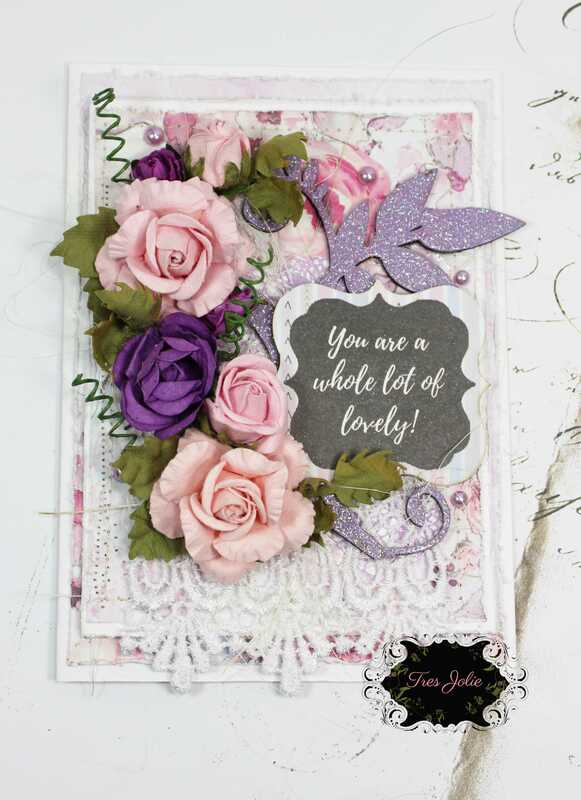 Hi again, Heather here sharing another set from the June Card Kit from Tres Jolie Kit Club. This set I decided to go with a set of cards. I usually make two sets, a girl can never have enough cards. You never know when that special occasion will pop up and you need to rummage for that one special card. I made a video of how these came together. Here a few close-ups of the cards. I love the beautiful blooms that came in the kit. Perfect for this set. I used the frame from the main kit and heat embossed for that special shimmery look. The stitched look adds a little extra texture to the cards. 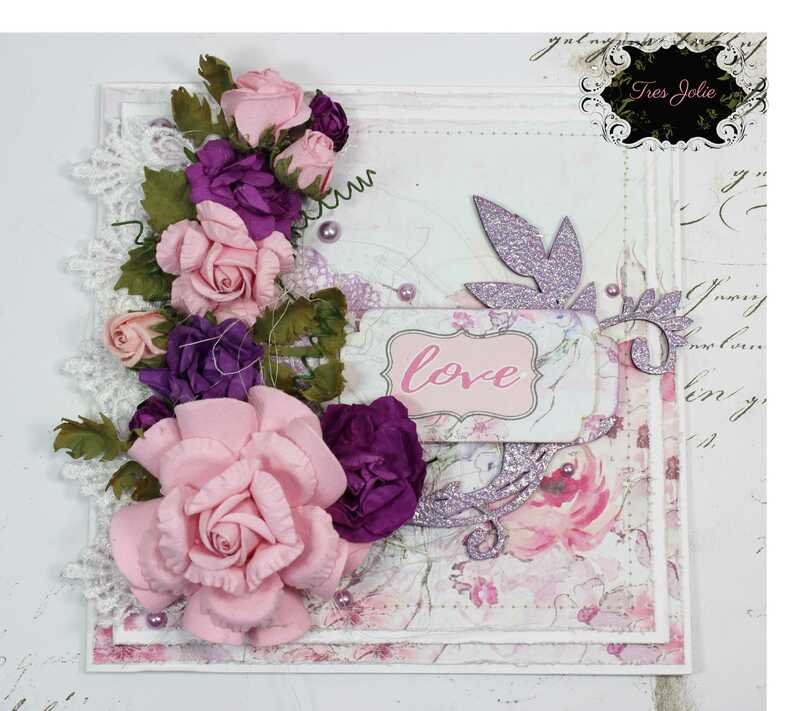 Hi Crafty Friends Phyllis here to share 3 beautiful cards using Tres Jolie card kit. 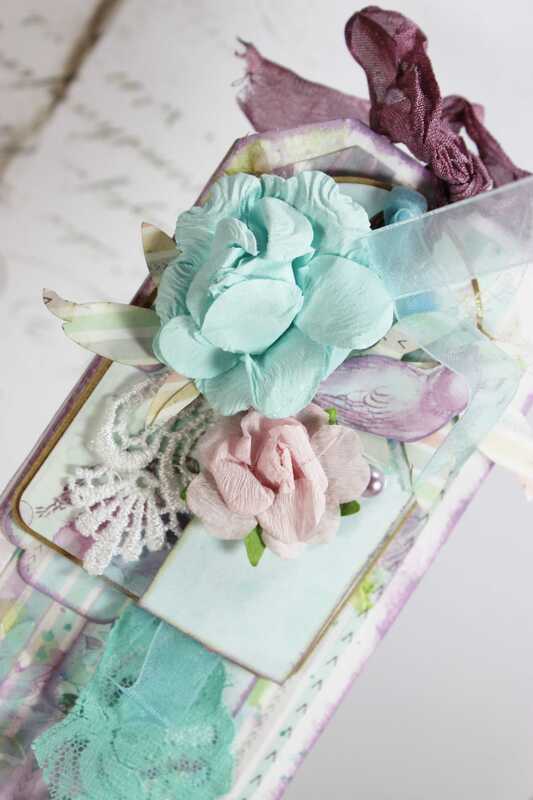 The card kit is filled with beautiful papers from FabScraps. 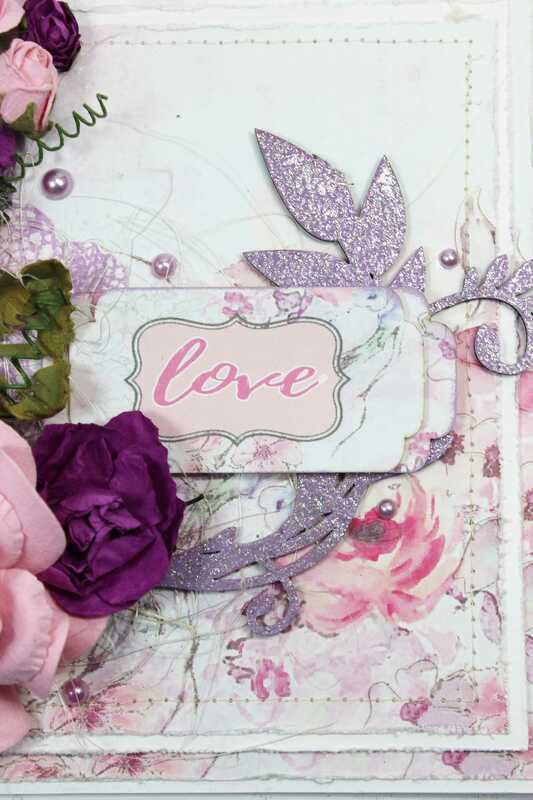 Included in the paper pack are some diecuts and sentiments that make it quick and easy to create your cards! Be sure to check out a step by step video below!